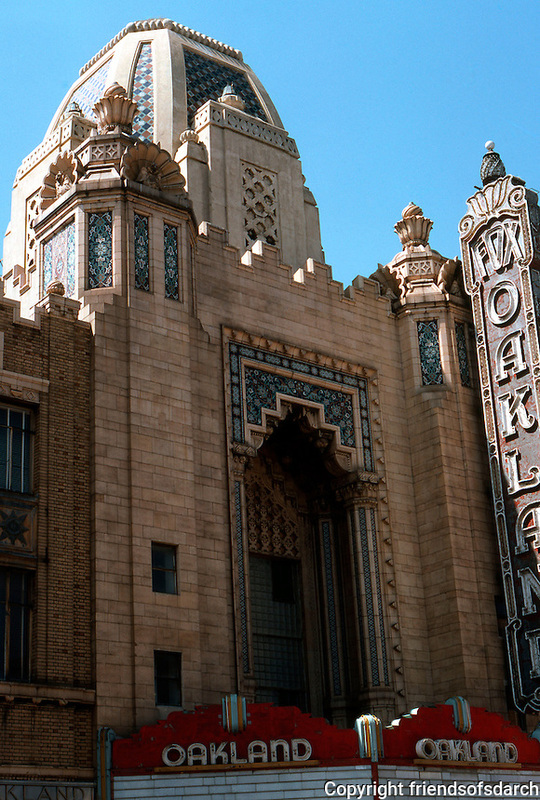 Movie Theatre: Oakland---Fox Oakland Theater, 1928. 1815 Telegraph. M.I. Diggs, Weeks & Day, Architects. NRHP 1978. Photo '76.